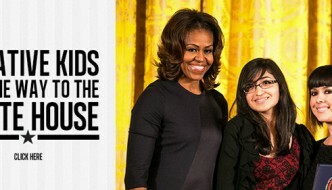 Miranda Luna, a participant in Project AIM, accompanied co-founder and Executive Director of Creative Kids, Andrea Gates-Ingle receive the award at the White House. In 2008, Miranda was a tender 10 years of age when she was delivered the news that she had Leukemia. Faced with a devastating diagnosis, Miranda immediately started treatment at Providence Children’s Hospital. 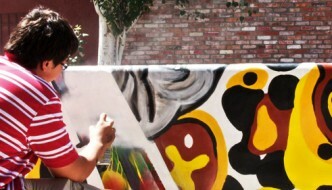 It was then when she was first introduced to the Creative Kids hospital art program – Project AIM. Miranda gravitated towards the program and was always the first patient to be waiting for the art studio to be opened at the hospital. 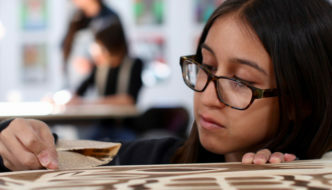 Whether it was painting, printmaking or dabbling in Photoshop and Illustrator, Miranda loved to be immersed in the art program as she said it helped to melt away her fear and anxiety of not knowing what the next day may bring. 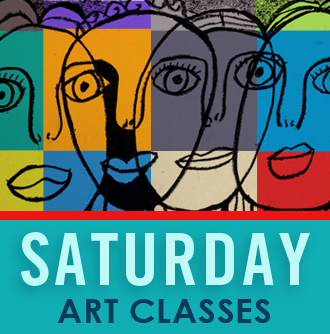 Over the years, Miranda has transformed from a shy young lady into a confident, outspoken young woman who, six years later, still loves to be engaged in the Creative Kids art program. The ceremony also included a speech by 12-year-old Danashiya Pritchard, a “Creative Kid” and participant in Project AIM in El Paso, Texas. Project AIM reaches over 1,000 children battling cancer in two area hospitals, offering art-mediated therapy in painting on canvas, printmaking, and graphic arts, among other art forms. Over Project AIM’s fourteen-year history, more than 250 pieces of the patients’ artwork have been showcased in more than six venues in the El Paso area. Creative Kids was one of twelve organizations chosen from a pool of more than 350 nominations and 50 finalists. The award also comes with a $10,000 grant. The awards are administered by the President’s Committee on the Arts and the Humanities (PCAH), in partnership with the National Endowment for the Arts (NEA), the National Endowment for the Humanities (NEH), and the Institute of Museum and Library Services (IMLS). 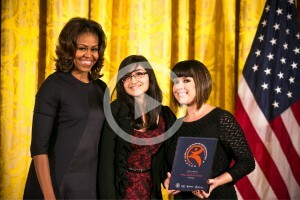 For more information about the National Arts and Humanities Youth Program Awards, visit www.pcah.gov. Congratulations Creative Kids!